E-commerce is booming – and warehouse operations must change to match the pace. Alexandra Leonards examines the home delivery market, and looks at the rise of goods-to-person models in the warehouse. This article was first published in Logistics Manager, June 2016. The growth of online shopping, with its increase in choice and convenience, has made it easy for consumers to walk away from a disappointing experience. And a recent survey from Voxware highlighted just how fickle consumers can be. “The interesting twist was, not only would they not do business with them online, but they wouldn’t go into their brick and mortar store either,” says Keith Phillips, president and CEO of Voxware. The survey found that 60 per cent of buyers would not return to a store, either on or offline, after a disappointing online retail experience. In this kind of setting, missing an item isn’t a disaster – and as Phillips says, nobody really cares if a back end accounting entry is used to adjust the inventory. But a missing delivery destined for the average household isn’t taken so lightly. Especially if the buyer has been waiting in all day, or paid extra for a quick service. “The numbers were staggering,” he says, referring to the survey. “We’re a bunch of spoiled brats; we have no patience for failure. The results send a very clear and definitive message. Get it wrong, and face losing customers. The order picking process is paramount to the fast and accurate delivery of goods. And as the retailer is bound to the consumer, the warehouse must follow suit. The thriving of e-commerce is having a big impact on the market – and retailers are having to invest in big changes to avoid the failures Phillips talks about. “We’re seeing acquisitions and consolidations in the UK market with Argos, and in the US market we’ve seen a very large retailer, just in the last several months, file for bankruptcy,” he says. According to Phillips, a US governmental report found that in 2015, 7.3 per cent of the country’s retail sales were handled via e-commerce. Office for National Statistics (ONS) research finds that here in the UK, the amount spent online accounted for 11.9 per cent of all UK retail spending (excluding fuel) in February 2015. This increased to 13.1 per cent this year. Of course, these are only predictions. But if they are accurate, it doesn’t leave a lot of time for the market to react. Significant pressures may be destined for the warehouse, so maybe it’s time for a reaction. Phillips says that if a retailer isn’t seeing this side of its business growing, then it needs to adapt, quickly. And it’s not just home delivery that is seeing more focus on smaller, more specific orders. The retail landscape is changing both on and offline. 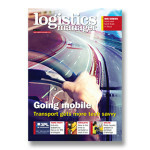 The logistics industry has no choice but to keep up with the ever-encroaching takeover by e-commerce. So picking the most efficient and appropriate warehouse technology is absolutely vital to a smooth running process. “E-commerce and the growth of convenience retail has driven the need to deliver smaller orders more frequently and, despite improved economic conditions, capital investments are still challenging for most customers,” says Isabel McCabe, managing director of Voiteq. Most distribution centres use a traditional ‘person-to-goods’ model to fulfil orders – with many still using paper based systems in their operations, according to Matt Hatson, business solutions sales director at Dematic. But with shifting consumer habits, and the rise of e-commerce, the traditional system is being challenged. Many warehouse operators are now looking to the ‘goods-to-person’ model to fulfil their retail orders. “In such a traditional order fulfilment environment, inventory is stored out on the floor and the most efficient pick paths are determined with the help of routing logic,” says Hatson. “Distribution centres have used this mainstay person-to-goods order-picking scenario for decades. The pressure for same or next day delivery, as well as the general increase in online buying, means that this method just isn’t appropriate for some warehouses. “It was once acceptable for a picker to spend 60 per cent of the time travelling and 40 per cent of the time picking,” says Hatson. “However, distribution professionals are increasingly looking for more efficient solutions to minimise wasted time between picks and increase the number of orders processed per person. And direct to consumer retail is becoming the norm, rather than the exception. “Direct to consumer is the new delivery mandate,” says Voxware’s Phillips. Goods-to-person systems can provide a quick and accurate fulfilment process for home delivery. So with the growth of online shopping, it is not surprising that the model is becoming increasingly present in the market. Combining a goods-to-person model with RF scanning, pick-to-light or voice technologies, can saves even more time, and improve accuracy further – so why not roll it out across the entire warehouse? “Goods-to-person technologies can work well for lower volume, slower moving SKUs where the reduction in picker travel time supports the business case,” says McCabe. “The growth in e-commerce and advances in supporting technologies has resulted in them becoming more popular. It is important not to assume that it is appropriate for every process and every part of the warehouse. Mike Chadwick, supply chain consultant at Indigo, agrees that it is important to really look into a system before going ahead with it. “The biggest challenge to justification for a switch to goods-to-person is the initial capital investment, because the long-term benefits can outweigh that,” he says. “A properly applied goods-to-person system can double or triple picking activity. Careful examination of operations, space, and a number of other factors, is vital to picking the right system. These SKUs might work well with more traditional models like carton or pallet flow rack, depending on the size of the order. With this kind of model, the person-to-goods picks can be made in a relatively small space – which reduces room for error. “Rather than putting all SKUs into a goods-to-person automated solution, by separating out the fastest movers less capital would be spent for automation while still maintaining very high pick rates,” adds Chadwick. By analysing SKU movements, during both peak and normal times, it’s possible to determine which SKU could be appropriate for goods-to-person. “Your fast moving SKUs will generally be better managed with other technologies,” says McCabe. “You then need to consider the capital outlay and flexibility to support changing order profiles and growth. Although automated order-picking systems for home delivery orders are important, warehouse operators still need too look further for a more efficient process, says Dematic’s Matt Hatson. He talks specifically about sophisticated sequencing techniques that are used at distribution centres to streamline shelf replenishment at stores. This makes it simpler and faster for store staff to restock shelves and racks. “By placing items into totes at the DC in the correct sequence for individual store layouts, product can quickly be moved from receiving bay at the back of store, through a logical replenishment process, enabling staff to confidently place items in the correct positions, with fewer delays due to removing outer cartons, disposing of waste packaging and searching for the right product,” he says. Beyond the exclusive needs of a particular warehouse, what considerations should be made when choosing the right order picking system? According to Indigo’s Mike Chadwick, there are a number of factors to deliberate. A system’s susceptibility to single-point system failure can’t be ignored. If one part of the system fails, the rest shouldn’t weaken with it. “Systems need to employ multiple independently controlled robots, for example; if one section of the system was to be disabled for repairs, the system would continue to operate at 100 per cent functionality,” says Chadwick. As well as this, warehouse operators need to take into consideration the level of design flexibility an order-picking model has. It needs to be easily expandable to fit in with changes like increases in volume. “Particularly with the capability to independently scale throughput and inventory, both at the time of the initial investment and over the life of the system,” says Chadwick. “Systems should be adaptable. They can be configured to fit different building heights, span multiple levels and even surround obstacles in the warehouse, such as pillars or walls.”Operators should look for opportunity to include additional storage space, added by an extension, without considerably interfering with on-going operations, he says. “The ability to store and retrieve orders simultaneously, as opposed to sequentially,” he says. “This capability can accommodate high throughput. A subject that comes up time and again in logistics, and in any sector for that matter, is energy efficiency. Nowadays, the level of energy efficiency an order-picking model can achieve is often as significant as speed or accuracy – even if its importance is based on monetary savings rather than environmental benefits.